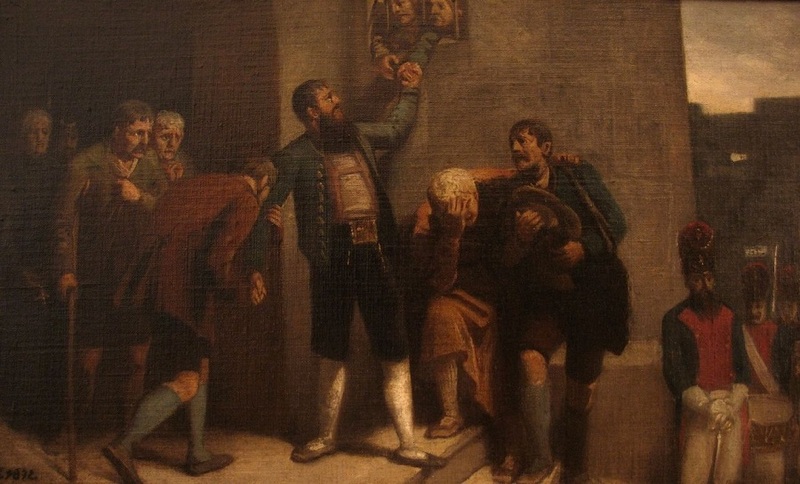 On this date in 1810, Tyrolean hero Andreas Hofer was shot in Mantua. 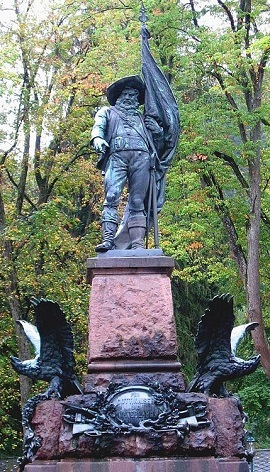 Andreas Hofer monument at Bergisel, where Hofer fought four battles in 1809. (cc) image by Mathias Bigge. Hofer (English Wikipedia entry | German) was the heir to his father’s Sandhof Inn in tiny St. Leonhard — a village today that’s just over the Italian border but was in Hofer’s time part of a Tyrol undivided by nation-state borders. This county took pride in its ancient affiliation to the House of Habsburg, who had once even made its imperial headquarters in Tyrolean Innsbruck. When in the aftermath of crushing Austria at Austerlitz the rampant Corsican transferred Tyrol to the overlordship of his ally the King of Bavaria, he did not transfer their affections: indeed, when Bavaria imposed upon its new prize the Bavarian constitution, along with added levies of taxation and military conscription, she sowed the dragon’s teeth. Hofer emerged as one of the leaders of the anti-Bavarian party in the Tyrol’s south, and joined an 1809 delegation to Vienna to secure Habsburg support for an internal rising. 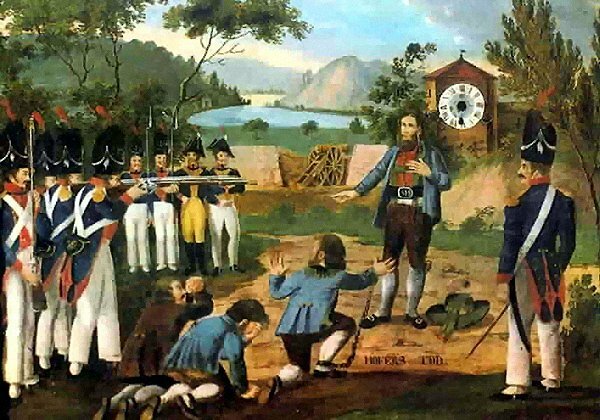 The Tyrolean Rebellion broke out in March 1809 with direct coordination from Austria — which declared war on April 9, and attacked France on several fronts hoping to regain Tyrol and various other baubles of Germanic patrimony lately lost to Napoleon. Unfortunately for the irregulars in the south Tyrol, who under Hofer and others won several early skirmishes, the French once more handed Austria a decisive defeat at Wagram July 5-6 of that year, knocking Vienna out of the war almost as speedily as she had entered it. By this time the self-described “Imperial Commandant”, Hofer’s successful engagements could not disguise an increasingly untenable position. The militiamen who had so brightly embarked on national liberation that spring withered up and blew away in the ill autumn wind. Hofer himself hid from his enemies in one of the panoramic mountain refuges that still decorate his homeland’s inviting hiking-grounds — but the price on his head could reach him even there, and a countryman betrayed his humble hut to the French. He was surprised there and removed to Mantua for a condemnation that was allegedly came ordered straight from Napoleon.